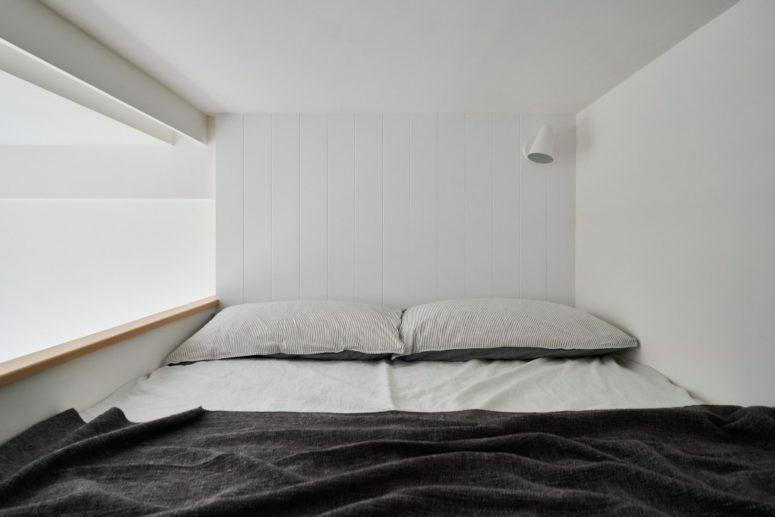 Can you imagine comfortable living on only 17 square meters? I couldn’t have figured out anything like that before I saw this flat. 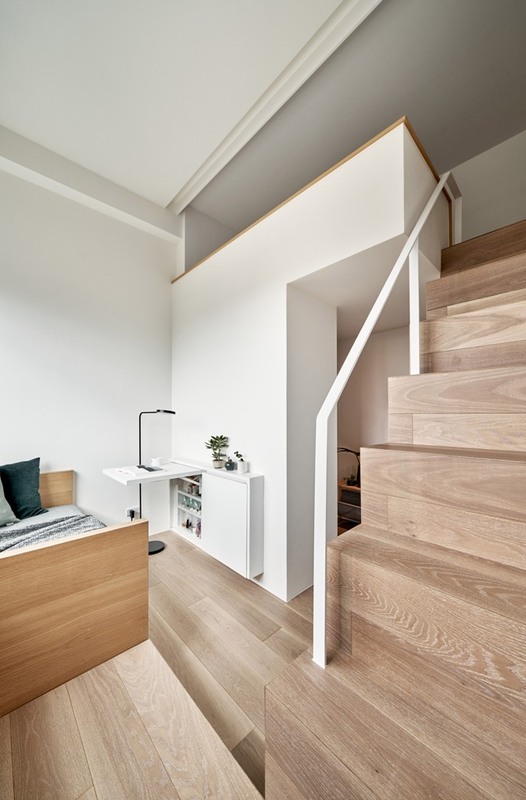 Taiwanese studio A Little Design has converted a former piano studio in Taipei, Taiwan into a tiny apartment with built-in, space-saving furniture, and the whole apartment is just 17.6 square meters! The bathroom and kitchen switched positions, and the entryway and kitchen were combined to create a continuous space. 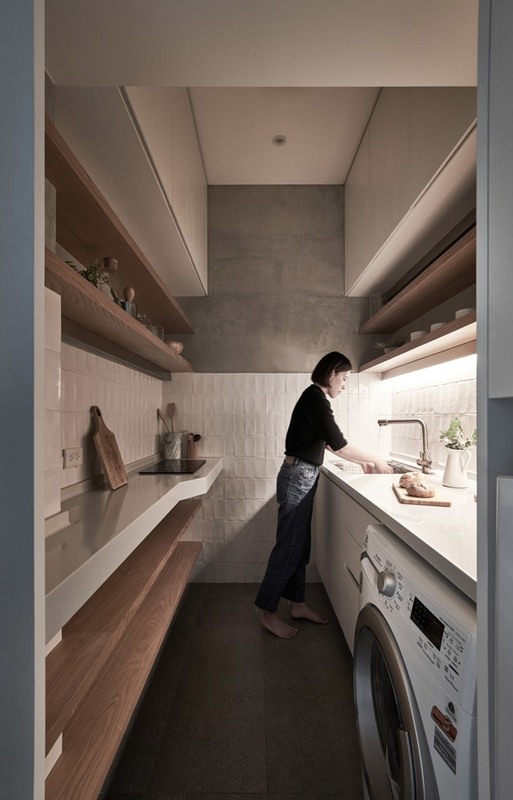 Appliances such as the washing machine, fridge, and an electric stove are arranged along the kitchen’s two solid walls. The design team made sure to allow for a generous work surface with shelves and cupboards mounted above and below counter height. Commonly used kitchen and table wares are stored within easy reach on the work surface while cabinets mounted higher up provide storage for items that are used less frequently. 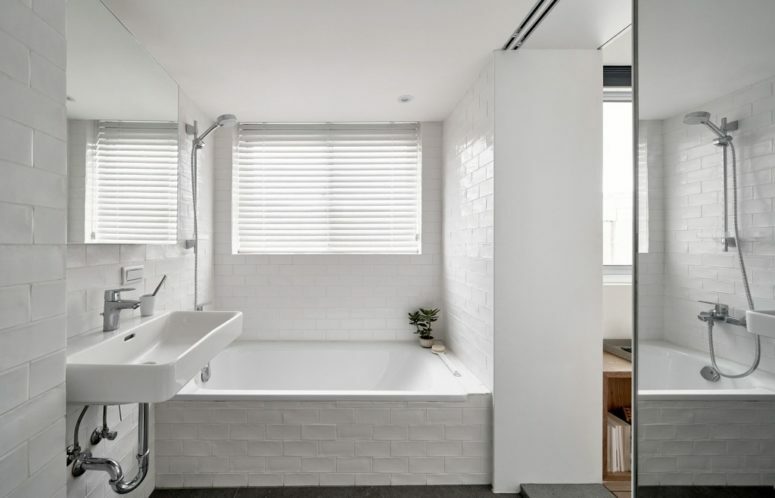 Although the bathroom has been slightly reduced in size, it’s new location provides the humid space with better ventilation and sufficient sunlight. A narrow recess provides a space for shelving while the sliding mirror door makes the bathroom appear brighter and more spacious. 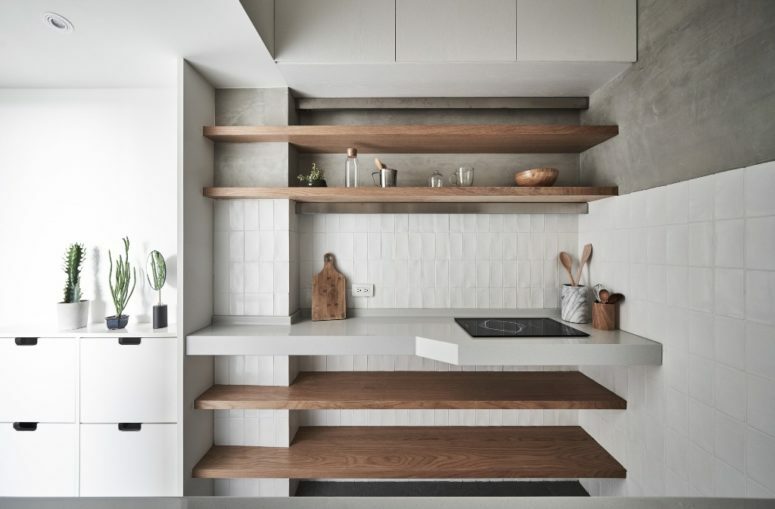 The beam which runs through the flat now serves to separate the apartment’s service and living spaces, while the space under the beam has been converted into wall cabinets that run alongside the stairs. The fridge is located under the stairs alongside additional cupboards which serve as an extension of the kitchen. The sleeping area is located on the mezzanine level where a tabletop and drawer are located under the beam. 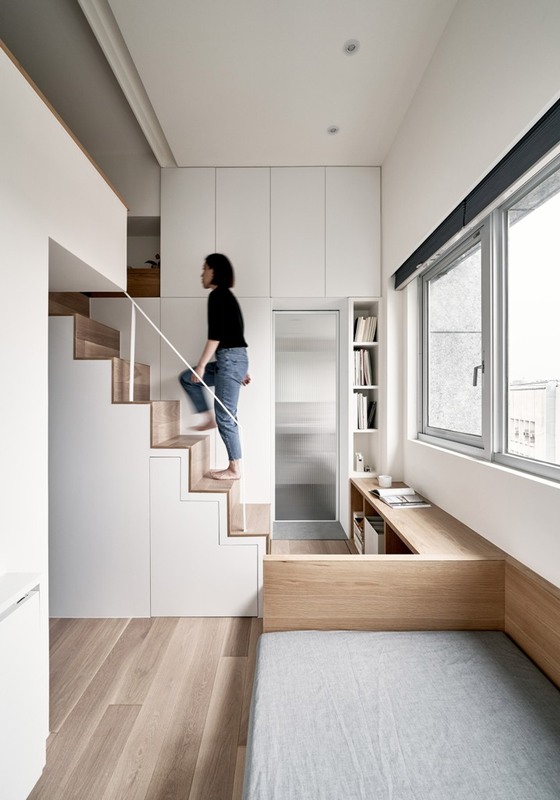 Downstairs, a wardrobe is integrated into the apartment’s entryway and the sofa area also functions as a space for dressing and working with a built-in shoe cabinet and a desk that folds out from the adjacent wall.